All roads lead to Melbourne. Check out this one week road-trip itinerary covering Phillip Island, Mornington Peninsula, Apollo Bay and more! Lots of things have been said and written about how great Melbourne, Australia’s second (locals would say first) city, is. 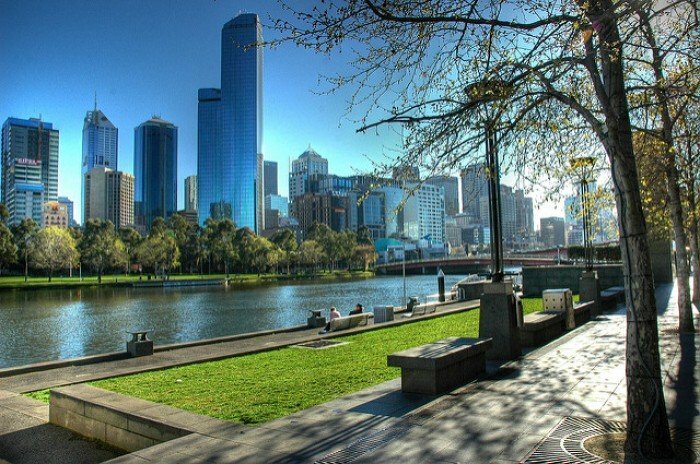 It can be considered to be Australia’s capital of culture, art, food and sports—home to the Melbourne Cricket Ground and countless ethnic eateries, as well as the venue of the Australian Open Tennis Championships, the Australian F1 Grand Prix and the Melbourne Cup. 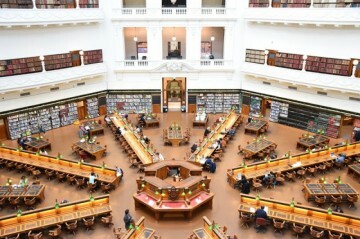 While Melbourne is an undeniably fantastic destination, a place where any visitor should spend at least a day or three in, it also happens to be a great base for a road trip. 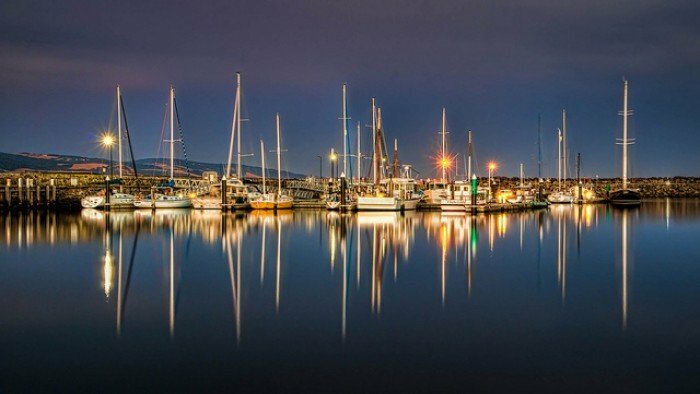 Set on the banks of the scenic Yarra River, on the coast of the almost entirely enclosed bay of Port Phillip, Melbourne is surrounded by gorgeous scenery. From the beautiful Yarra Valley wine region to the beaches on the Mornington Peninsula and the coastal cliffs along the magnificent Great Ocean Road, the landscapes around Melbourne simply beg to be explored by car. 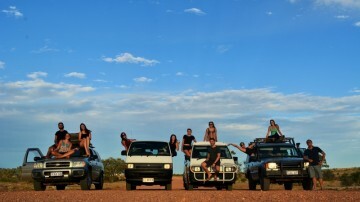 So, read on for a wonderful itinerary for a one-week self-drive road trip from Melbourne. Pick up your rental car in Melbourne and begin your adventure with an approximately two-hour drive to Phillips Island. On the way, be sure to stop at the Warrook Cattle Farm where you can experience a farm tour, and at San Remo to explore Cape Woolamai. When you eventually arrive on Phillip Island, there’s a whole lot of fun left for you to have. 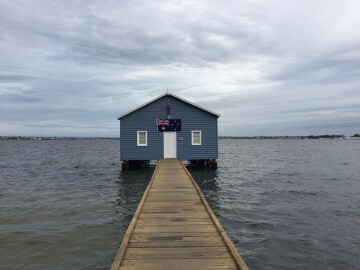 This is a wonderful little island great for walks along the coast and home to a couple of interesting sites, including the Koala Conservation Centre and the Seal Rocks Sea Life Centre. The star attraction, however, is the Penguin Parade, where you can see penguins in their natural habitat. You can spend the night at the Ramada Resort Phillip Island. 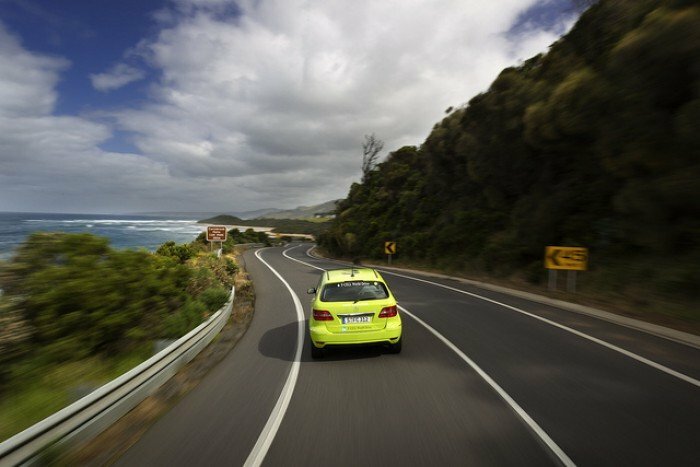 After a filling breakfast, jump in your car and go for a pleasant drive along the coast of the gorgeous Mornington Peninsula. 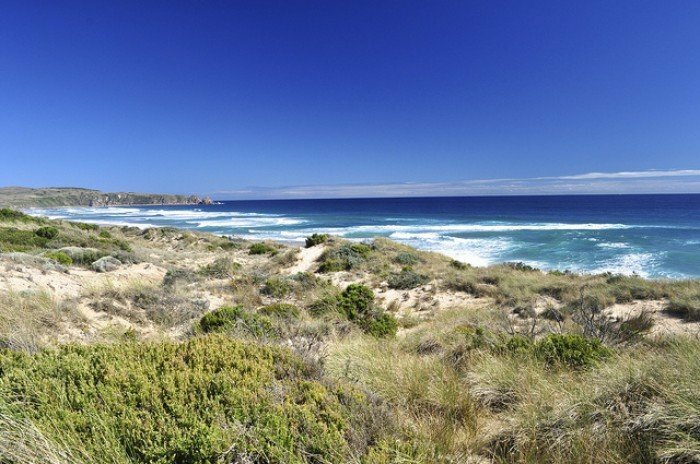 This is a popular vacation destination among Melburnians, as it features stunning sand beaches, inland vineyards and ample opportunities for outdoor pursuits, such as horseback riding, biking and hiking. Suggested places to stop during the day are the Red Hill Cherry Farm or the Sunny Ridge Strawberry Farm (open from October to April). Also consider visiting the Ashcombe Maze, Peninsular Hotspring or the Water Gardens. After a well-filled day of road tripping, get some sleep at the Best Western One Four Nelson. The drive from Mornington Peninsula to Apollo Bay doesn’t take longer than 3.5 hours, but is filled with beautiful attractions. 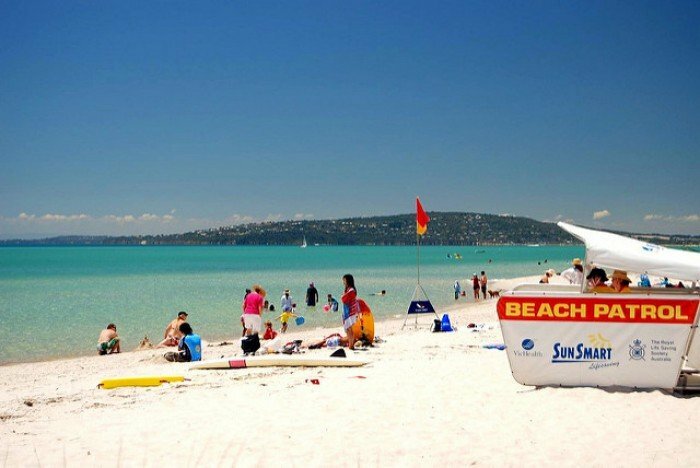 Take the car ferry from Sorrento to Queenscliff and after a quick drive, you’ll find yourself in Torquay, a very popular surf town along the Great Ocean Road. You can stop there to hit the beach or continue on a bit further—the entire coast is lined with spectacular scenery, from rainforests to sand beaches. In Apollo Bay, check in at the Apollo Bay Motel for a well-deserved night’s sleep. Today is all about the most spectacular section of the Great Ocean Road. Although the drive, again, isn’t very long (about 160 kilometres), you will need the entire day to see everything there is to see. The first suggested stop is Cape Otway National Park where you can do the Otway Fly Treetop Walk and maybe even spot a koala or two. 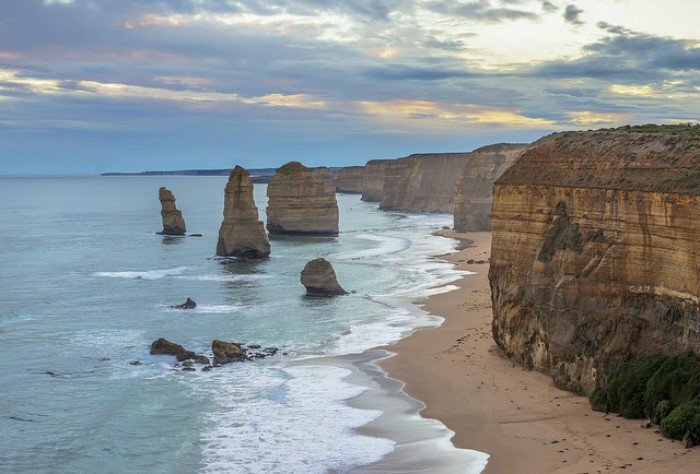 Then, continue onward to Port Campbell National Park and the Shipwreck Coast, the home of one of Australia’s most iconic natural attractions—the Twelve Apostles. The entire coast is dotted with formidable rock formations like you’ve never seen before. In the evening, let all the jaw-dropping sights sink in at the Best Western Tudor Motor Inn (or similar) in Warrnambool, the endpoint of the Great Ocean Road. On day five, you will leave the coast and head inland. Today is all about experiencing something new. During your farmstay, you will get hands-on experience in feeding cattle or sheep, sheep shearing, cow or goat milking, whip cracking and walking with animals—all these activities depend on the type of farm you stay at. 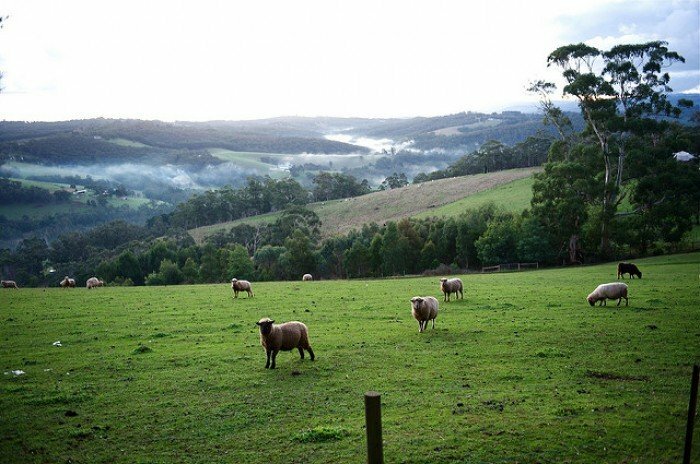 This is surely a tiring, but incredibly memorable day, so you’ll sleep like a baby at your Downunder Farmstay. In the morning, say your goodbyes to your hosting farm family—it’s recommended to bring a small gift as a sign of appreciation of their hospitality—and drive back to Melbourne. 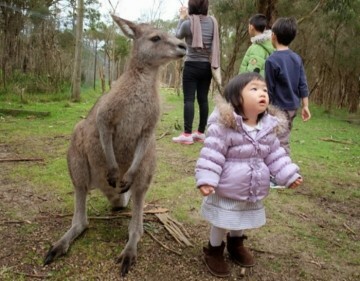 There, you will have the rest of the day to explore this marvellous Australian city. Overnight at the Ibis Kingsgate Hotel Melbourne. On day seven, you fly home and tell all your friends and family about how amazing your self-drive road trip from Melbourne has been.